Instagram is growing popular every new day and the Instagram team is always working hard as well to come up with new features that make ‘Instagramming’ easy. 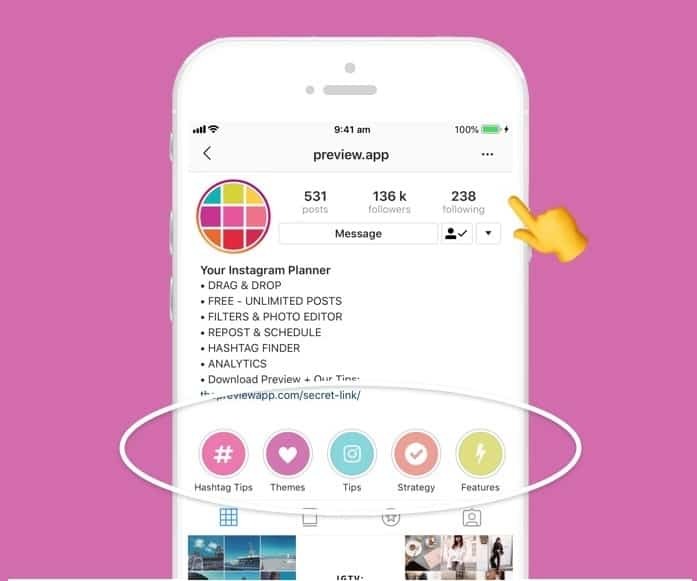 As a social media marketer, or a general social media user especially if you use the most of Instagram to promote your brand, there are probably a number of hacks that Instagram will not tell you about even if you keep close tabs on the new feature updates they always provide. This guide aims at giving you a deep insight into all the hacks, updates and features revolving and evolving around Instagram. If you happen to master them, you will ‘Instagram’ like a pro. We will break the hacks into six categories and discuss them in details. 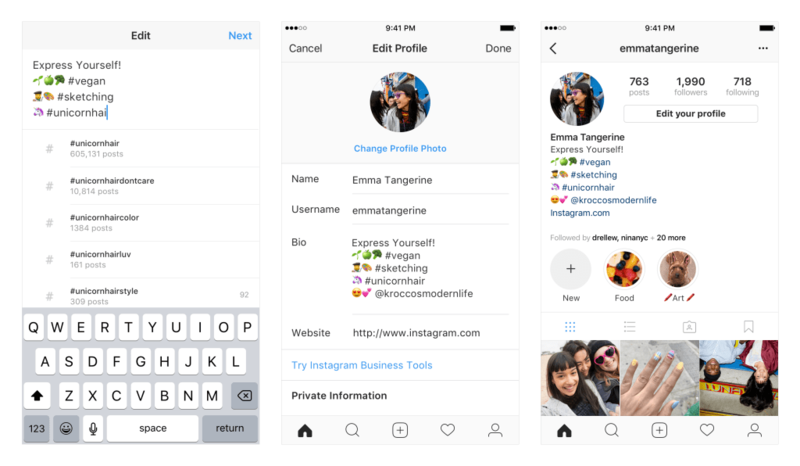 Instagram, unlike initially, has made it easier to create, add, use, and manage a number of accounts using just a single application. The the best part of this experience is that it is easy to switch between your multiple accounts once you create/add them. i) Going to your profile and tapping on the profile button at the bottom right of your application. iii) Tap or Click on the gear/settings icon which appears and a drop-down menu of options will appear. v) Key in the Password and username of the account you want to add. 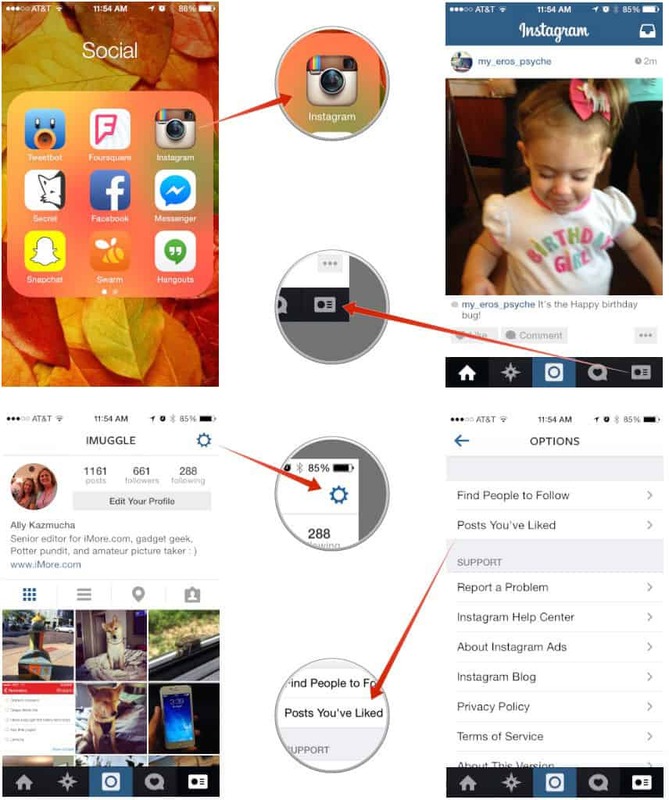 vi) You can add up to 5 accounts on one Instagram application. vii) To switch between accounts, hold the profile button and a menu of all the accounts you added will show up including the active one which is usually ticked beside it. viii) Touch on any of your accounts to switch and do your activities. Watch the video below to see how you can easily create and manage different Instagram accounts on just but one app. 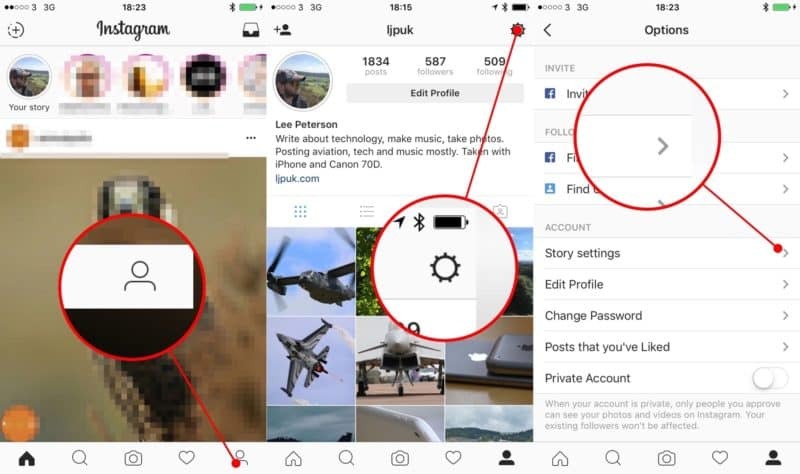 This feature is one of the very important hacks for Instagram users. With it, you are able to squirrel away those posts you think have been so inspirational and you want to view them time and again. Additionally, most online marketers and business persons use this hack to monitor their competitors and keep close tabs on them. ii) On the bottom right of the post is a save icon. v) You will be able to view the posts you liked and the posts in your collection. If you are looking forward to discovering new people to follow and engage with on Instagram, this feature is very important to you. It is easy to see the recent activity of the people you follow. 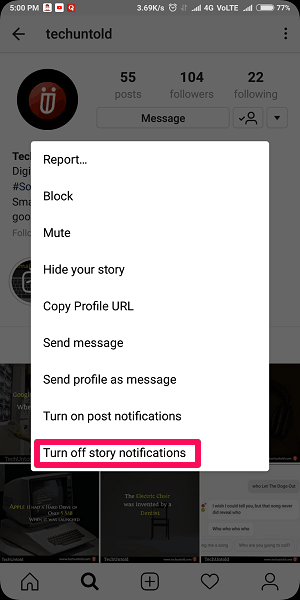 When your followers like or comment on any posts during their Instagram activities, you will be able to follow up with this feature. iii) You will be able to see your recent activity log on the YOU tab. Your activity log is where recent events that happened to your profile are recorded. It is there that you will be able to see your recent followers, and people who recently liked and commented on your posts. iv) To view your follower’s recent activity log, you will either, swipe right or simply touch on the FOLLOWING tab. You will see recent activity of your followers and find people you might follow. 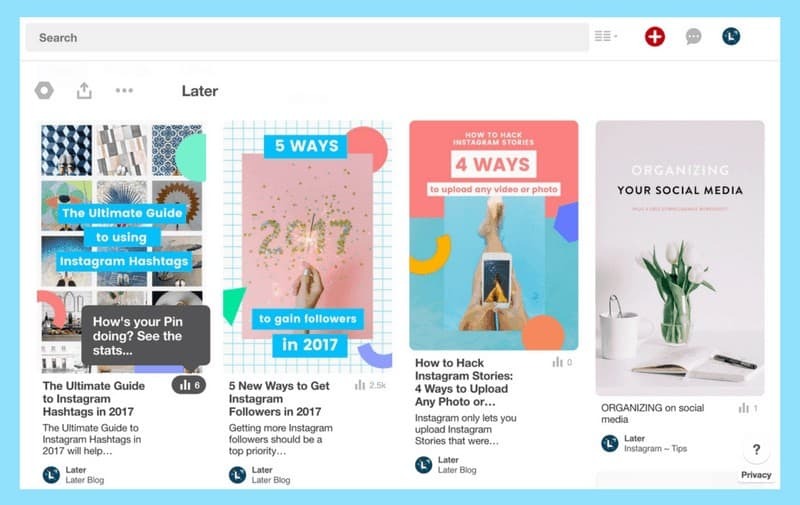 Unlike other network choices like Facebook and Twitter, there is no option that allows you to directly share your Instagram posts to Pinterest. However, there is a way to work around and pin your Instagram posts on Pinterest whether on your desktop or mobile device. You will need to have a Pinterest app on the mobile device you are using to achieve that though. v) Add new pin by tapping on the plus icon(+) on the extreme top right of your Pinterest application. An Add a Pin or board menu will show up. vii) The link of the post you copied will automatically open. viii) Complete the posting on Pinterest as usual. v) Using the browser icon on Pinterest, select the pic you want to pin and post. Instagram enables you to embed your posts to your website to increases your posts’ visibility, the same way you pin your posts to Pinterest. 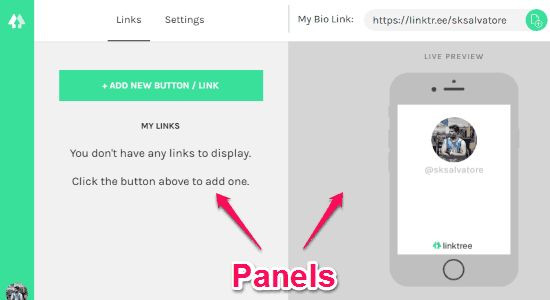 Your website visitors can click on the embedded posts, which direct them to your account. This can also raise your number of Instagram followers. Maybe there are some accounts you follow and you think their content, or whatever they post is annoying or not good for you. 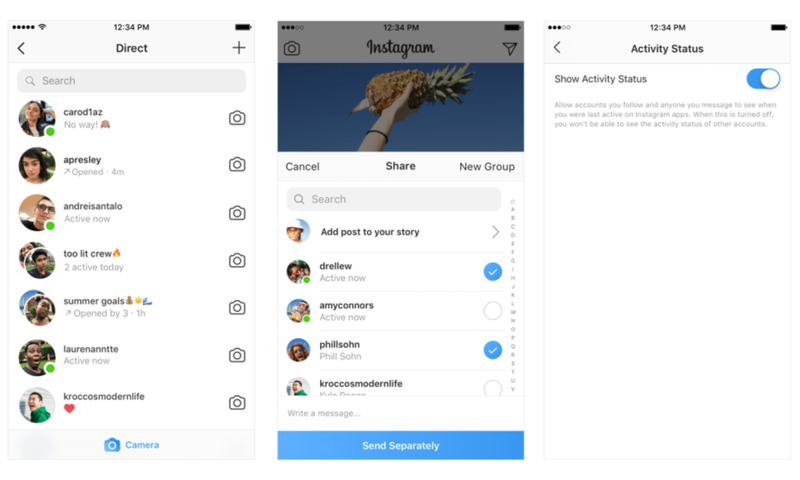 It is possible to refrain from seeing Instagram Stories and or posts from some accounts you are following on Instagram. Therefore, instead of having to risk offending them by hitting the unfollow button, you can mute them. But how do you mute annoying account? i) Go to the post of the account you want to ‘stop seeing their posts’ and tap the 3-dotted kind of vertical line(⋮) usually at the top right corner of the post. iii) Click/tap on Mute usually the last on the list of the drop-down menu. iv) From the options provided once you press Mute, you will be able to choose whether you want to mute both stories and posts or posts only. 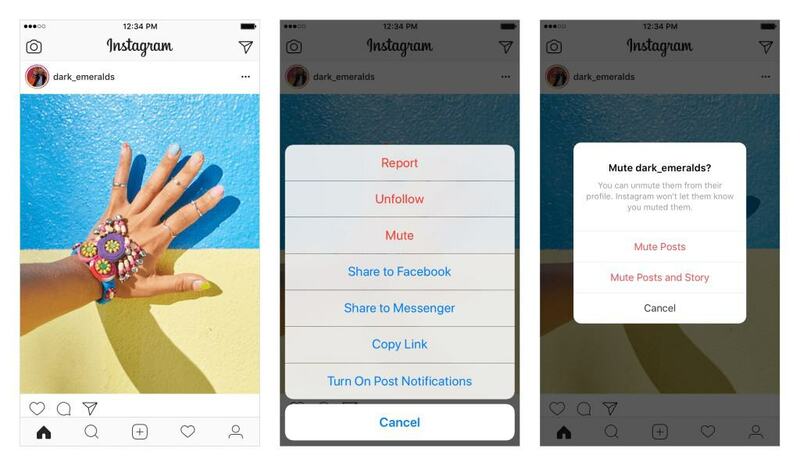 With millions of users sharing photos on Instagram, posts including the ones you recently liked are being replaced by new ones on your feed. Maybe you want to relive the best posts you’ve liked and get a little bit of inspiration. While it seemed impossible initially, you can view the post you’ve liked. v) Click on it or tap it to view the post you have liked before. Isn’t it fun just logging into your Instagram app, search for places and see posts from different world’s geographical areas? For instance, you just search Rio De Janeiro and you see every post geo-tagged on Instagram from Rio in Brazil. It should be fun, especially putting in mind that you can even search posts of people from the place you currently stay, or you plan to visit. Maybe you want to visit a certain restaurant you have not been to before, If you search it on Instagram, you will get to see various peoples post at the place and see what to expect when you visit. There are two ways to this. You can browse through posts on a certain location or through a geo-tag on an existing post. iv) You will see all posts geo-tagged with the location. vii) If you hit the search button, you will view posts geo-tagged with the location. If you like using the Instagram filters, there’s probably the most frequent filters you like using to enhance your photos. The hack here is, you can put your most frequently used filters up front on your Instagram app for faster enhancements before you post them. iv) A drop-down menu of a number of filters appear. 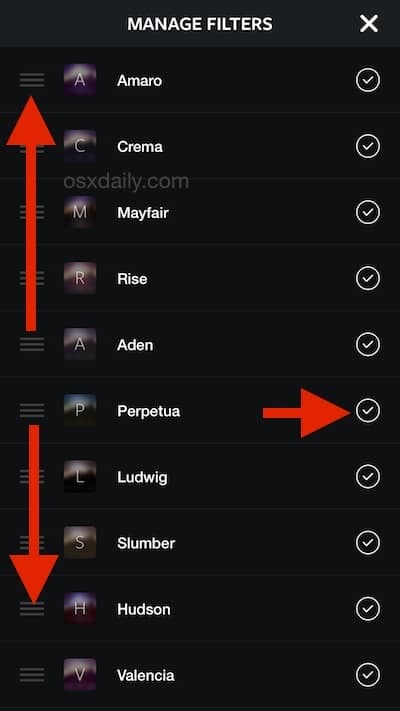 v) On the left-hand side of the list, there are 2-line icons next to each and every filter. 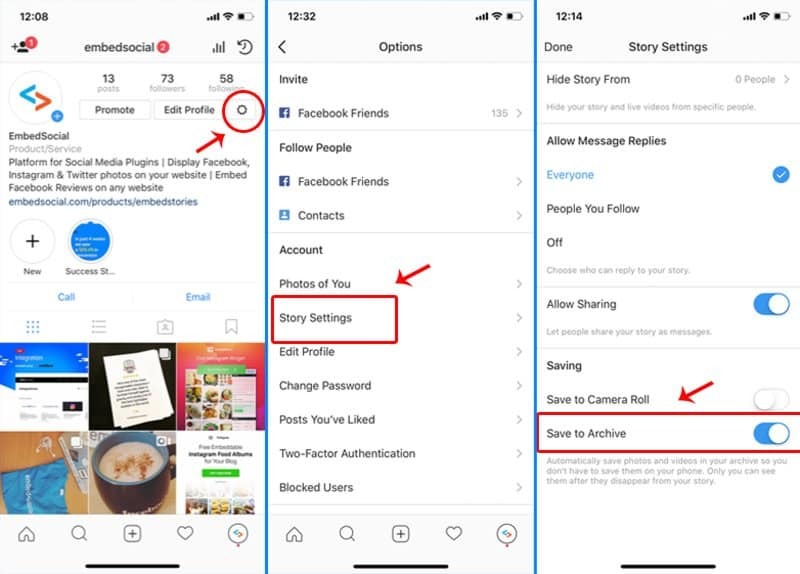 vii) Check the circles on the right-hand side to unhide the filters you might find useful for your Instagram activities and at the same time uncheck the circles to hide the filters you think will not be useful for you. viii) Tap Done and Save. 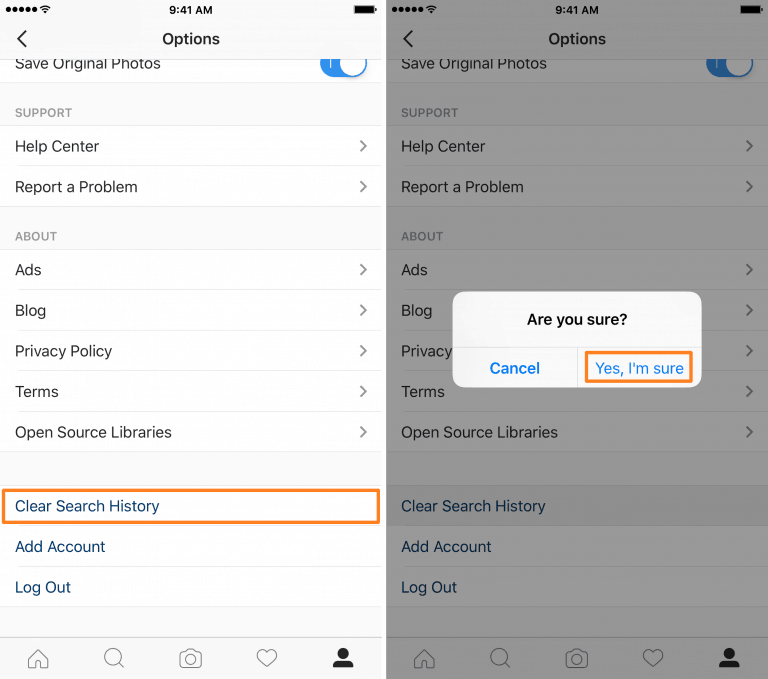 The Instagram archive feature has been of help big time. Maybe you made posts before and right now you feel they are not as perfect as you thought. Maybe it is an old picture of you, it doesn’t look great, you do not want your friends to see it but you had uploaded it already and you do not want to lose it. iii) Select the Archive option from the menu that appears. ii) Click on the clock icon at the top right of your app and choose Posts Archive. Your posts that are not visible on your profile are ‘hidden here’. Only you can see them. Perhaps there is special content from brands or people that you like and never want to miss a single post from them. Do not worry, Instagram has got you covered. iv) Suppose you change your mind and do not want to see their notifications anymore, you can use the same procedure and Turn Off Post Notifications. You can choose to permanently delete or remove searches you might have been looking for before from appearing in your search button. It’s like clearing the history of your search button but in this case one query after another. i) Tap the search button on your application – usually looks like a magnifying glass icon. vii) Tap and hold it until the option to hide appears. Sometimes your friends or close people will grab your phone and just open your Instagram account and they want to know who you have been searching. Maybe for some reason, you just do not want to see comments on a certain post. It is easy to turn off the comments. There are two ways to this. You can do it the time you are making your post, or after. i) Choose the video or photo you want to post. ii) You will get to the point where you need to add hashtags, caption, and locations you can click on the Advanced Settings, usually below all the other options and in a small font. ii) After clicking on Advanced Settings, you will see the option of Turn off commenting. 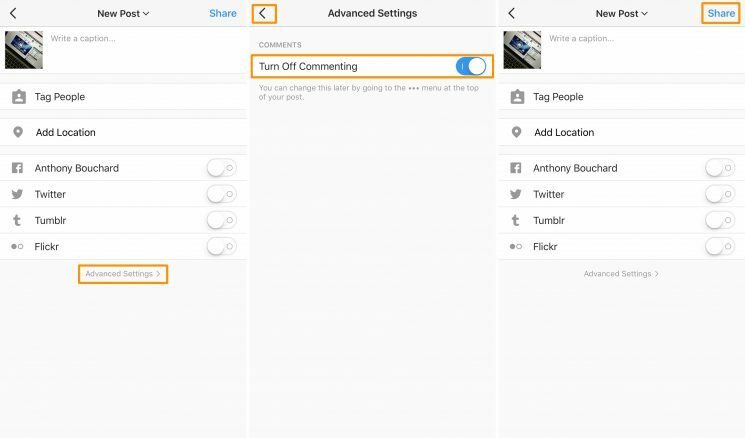 iii) You can toggle it on to turn off comments on the post you are currently posting. Point To Note: It is easy to turn the notifications on and off. The procedure is the same especially if you want to turn on comments on a post you and turned them off. 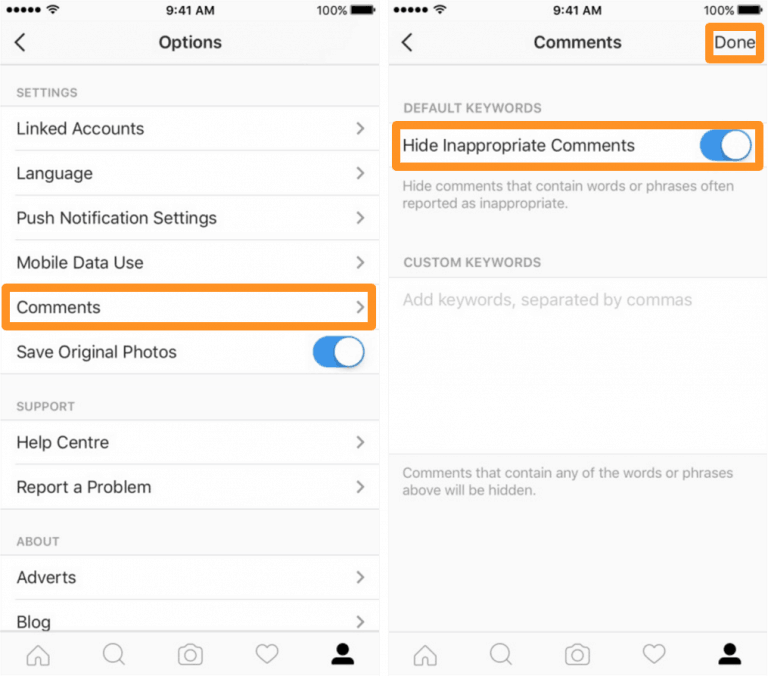 Comment controls feature on Instagram allows you to block and filter comments that contain specific words. Maybe you are tired of social media troll or comments that upset you, it is time to deal with it. vi) By that, any comments that have offensive phrases are automatically filtered and blocked. vii) You can as well use the manual filter option in which you key in your words you think should not appear in your comment section or are offensive. viii) Once you have keyed in the keywords in the manual filter option, comments that contain the words you keyed in will be filtered and blocked. This is an easy hack especially by now at least you have received those annoying or unnecessary comments and you have probably sought help to delete them. Here we will discuss how you can delete your own comments and how you can delete your follower’s/user’s comments on your post. iv) Touch and hold onto the comment you want to delete until the delete option appears. The delete option appears in form of a trash can icon on the top right of your app. v) Complete the action by clicking/touching the trash icon to delete the comment. Point to Note: Sometimes you can delete a comment that you did not want to, or maybe something ringed in your mind and you want to change your mind not to delete a certain comment you had initially wanted to delete. In this circumstance, do not panic. 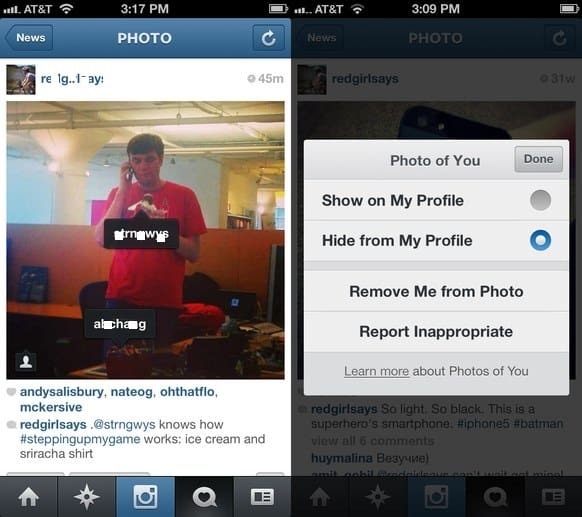 Instagram gives you an option to undo the action of deleting a comment to regain it. However, the undo option appears in a red bar at the top of your app. You should be careful not to miss is as it appears in a short time of one to two seconds and then disappears. 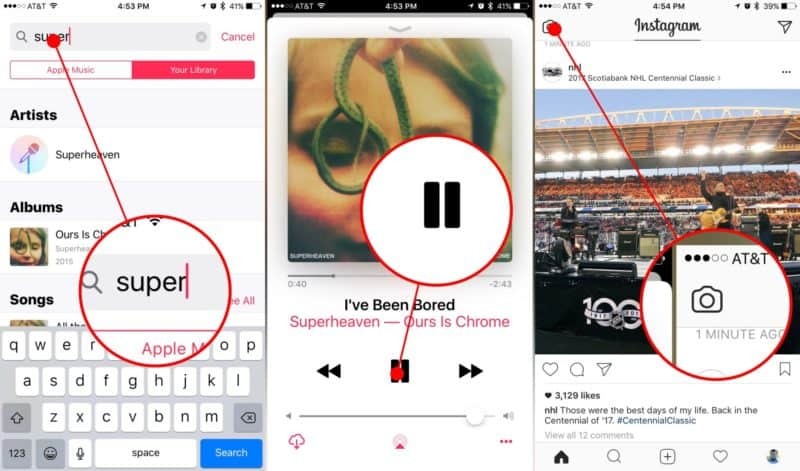 Instagram confirmed on their post as shown above that it would be easy to zoom in on your videos and photos using just two fingers. How do you achieve the zooming? iii) You will view and enjoy the details of all posts using that feature. It is as simple as that. Every time, Instagram displays ads in your feed. Some ads may be relevant and interesting but others might be out of your interest. If you are a regular Instagram user, you will observe a number of ads from apps, brands, startups, and 3rd party websites in your feed. Chances are that you are going to see such posts again and again. 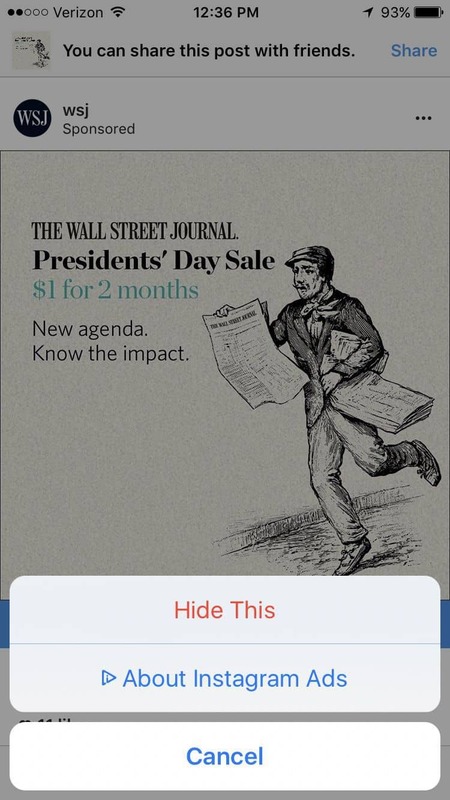 Point to Note: You will be asked questions why you do not like the ad once you hit the hide this button. The choice of the answer you will select will be a high determinant if you are going to see the ad again. Suppose in this case you pick it is not relevant, there are chances that you will not see the same Ad again. The answers you pick usually tend to teach the Instagram algorithm on what you do not want to see. vii) After choosing the Facebook account, you wish to connect with you will then provide with your details. viii) Click Done to make the changes. Line breaks can make the info look magnificent by breaking the text that is in the bio. Adding the breaks can be done by both the mobile phone and the desktop app and are one way you can give your profile visual impression. i) Open any notes tool on your device and enter the text describing your bio as you want it to look like. ii) Select the entire text you entered. iii) Press and hold on the text until Copy option appears. 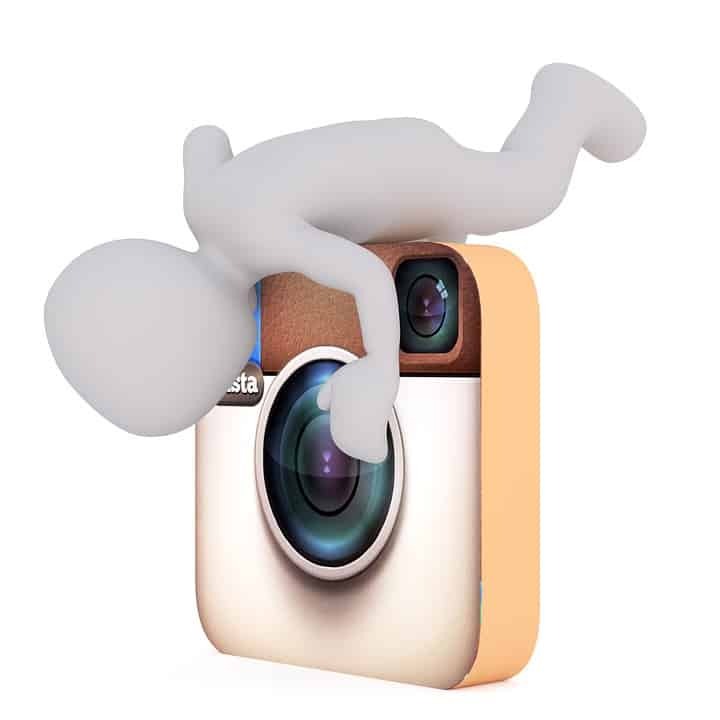 iv) Click open your Instagram application. vi) Choose Edit Profile option. vii) Into the bio-field that appears, paste the text you had copied from your notes. viii) Once you are done, click the tick icon on the top-right corner and save the changes made. iv) Tap Submit to make the changes. Point to Note: The profile viewed on the desktop will appear without the lines irrespective of whether it was edited via desktop or mobile. i) Click on your profile icon to check your profile. Point to Note: If you are interested in tracking how much traffic your profile link generates, you can add UTM parameters in the link URL. Instagram allows you to link another account a hashtag in your account bio. iv) Type @ or # followed by the recommended account username or hashtags respectively that appears. v) Select the ones you like linked in your bio. vi) The hashtags or the account you want will then be linked in your bio. Point to Note: Suppose you mention other people’s profiles, they usually get notified and they have an option of removing the link. That means that their profile remains in your profile bio but with no link. Perhaps some of your followers have tagged you and you do not like the posts they have tagged you in or you do not want to be associated with such kind of posts. Instead of having to untag yourself you can easily hide the posts you have been tagged. How do you do it though? Point to Note: While hiding the posts from your profile looks like the better option, you can always choose to opt out being tagged in posts you do not like. Instead of having to toggle off the Keep in Photos of You option, you can simply choose the Remove Tag option to do away with that post. Maybe you are too busy with other activities that you are unable to regularly make posts on Instagram. There are a number of social media tools you can use to schedule your Instagram tools. From Hootsuite to Buffer to SproutSocial among many others. However, SproutSocial is quite easy to use and you will enjoy scheduling your posts directly to Instagram. The video below shows how you can use it. 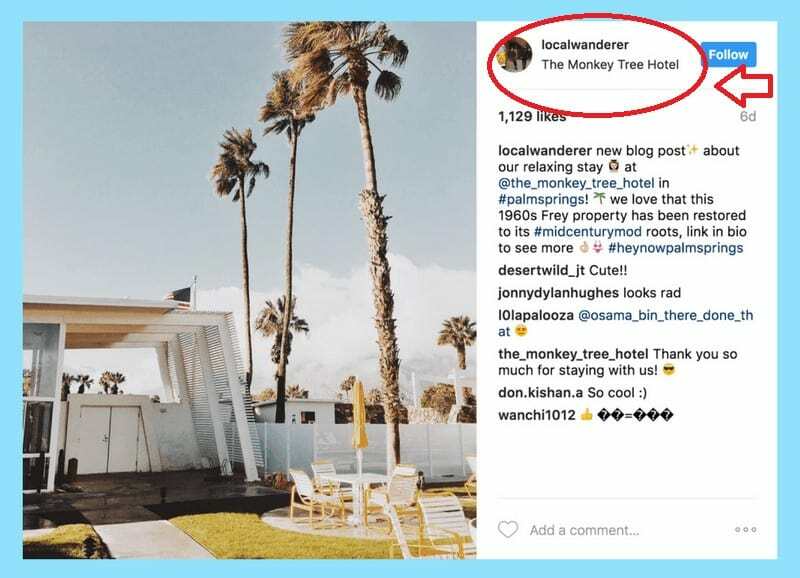 Simply Measured reports that you will get a higher follower engagement rate on Instagram if you include location tags on your posts. That means location tags are very important especially for brands. Your location communicates a big deal to your audience of followers. While it is might seem hard creating a custom location on Instagram, you can decide to add locations each time you make your posts. That will be a repetitive action though putting in mind that you are a brand posting regularly on your Instagram. Therefore, a custom location will do you good once you achieve setting it up because you will not need to add location every time albeit having to use Facebook to set it up. Point to Note: For you to use this location on Instagram, You will have to post at least once to your Facebook. You can now open your Instagram to check if your location is updated. Sometimes it takes up to 24 hours to activate the new location set from Facebook. Ever since its introduction, the split you do it into tiles to create larger photos on your feed feature has really impressed most Instagram users. If you do it right, the feature will leave a mosaic effect that will leave your followers drooling for more. 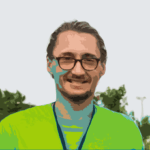 The good thing is, there are tools you use to automatically create a large photo from tiles of smaller pics. You will not need to worry about having to create them manually. 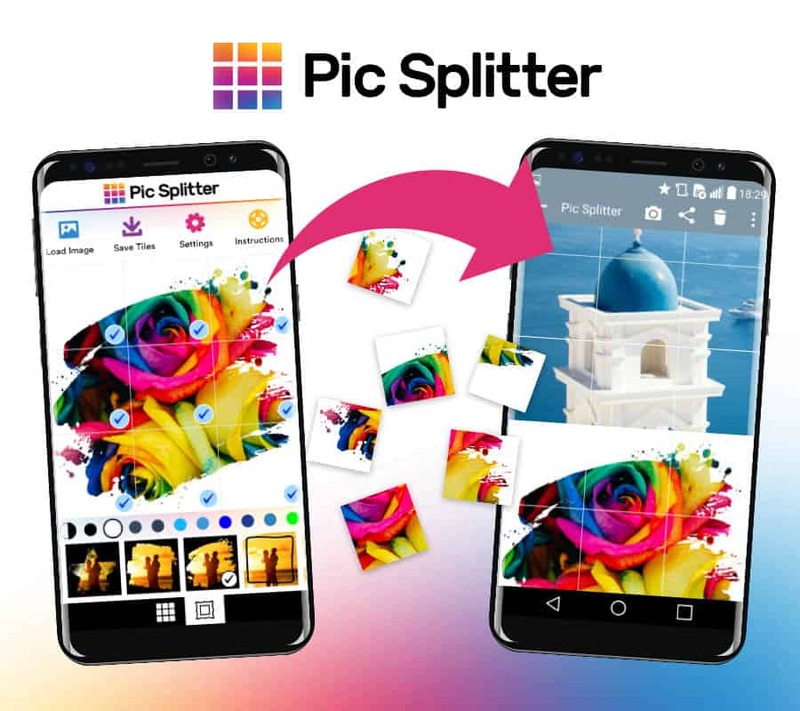 One of the best tools to use is Pic Splitter. 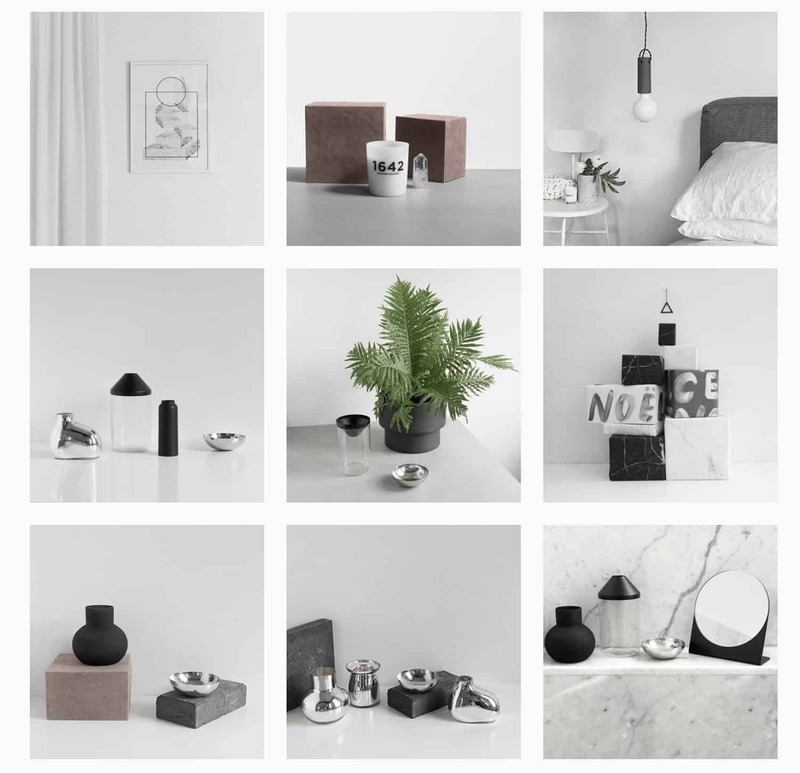 iv) Create up to 9 tiles from just a single photo. Most brands who use Instagram as their marketing channel utilize this feature especially if they have partnered with other businesses and influencers for takeovers announcement and generally just engagement with their audience of followers. This feature can as well be used if you are hosting a live Q & A. You will encourage your users to join the live video. v) You always have a choice to live the live video anytime you want. ii) Select View and you will have to choose whether to cancel their request to add any of the requestors. v) You can invite a viewer you choose to join your live video or accept any of the requests. vi) You can as well remove the guest and at any time add someone else to your live video. Filters do enhance your photos or images so they give a good impression to your feed after you post them. However, sometimes you might not want to use too much of it. You perhaps need your audience or followers to see an original picture or image but you might fancy just a slight enhancement. v) Continue editing as you would like it to look like when you post. You have made a nice shot, but your background is not good enough, or you want to keep it a secret, what do you do? Point to Note: This feature is available on selected iPhone series and selected Android phones. 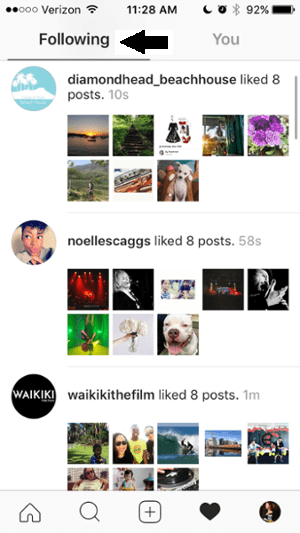 You can upload a number of images or videos on a single post. Yes, it’s possible. For photos, these feature gives you an opportunity to share many images or videos in just a single post. Maybe you just got engaged or you had a birthday party and you want your friends or followers on Instagram to have a look at how it all went down. If your photographer was able to snap successive shots during the event or took a video, you can be able to share them in just a single post. How will you achieve that though? iii) Choose videos and images that you want to include in your post from the camera roll. It is easy, just check the images or videos you want to upload or uncheck the ones you don’t need for the post. iv) Add filters and captions and location as usual. For filters you can choose different filters as you want your image to appear, however, it is good to be consistent here with just a uniform filter. v) For videos, you can trim them into a length that favors you. vi) Complete the process of posting as usual and share the masterpiece. iv) Release your finger from the recording icon to create breaks between your shots, press and hold it again. That will enable you to take multiple shots. v) After every clip, there is an option to DELETE before you continue. Points to Note: This feature is very important. Most online marketers will use this to create a post that clearly defines their products. 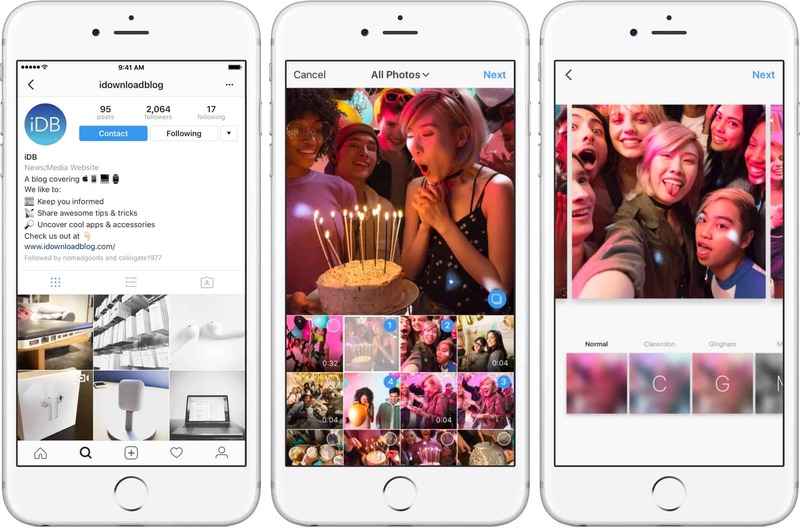 Apart from that, the feature enables you to share a number of shots in a single post rather than initially where you would post only one image at a time. Additionally, the feature lets you share a chronological form of events. 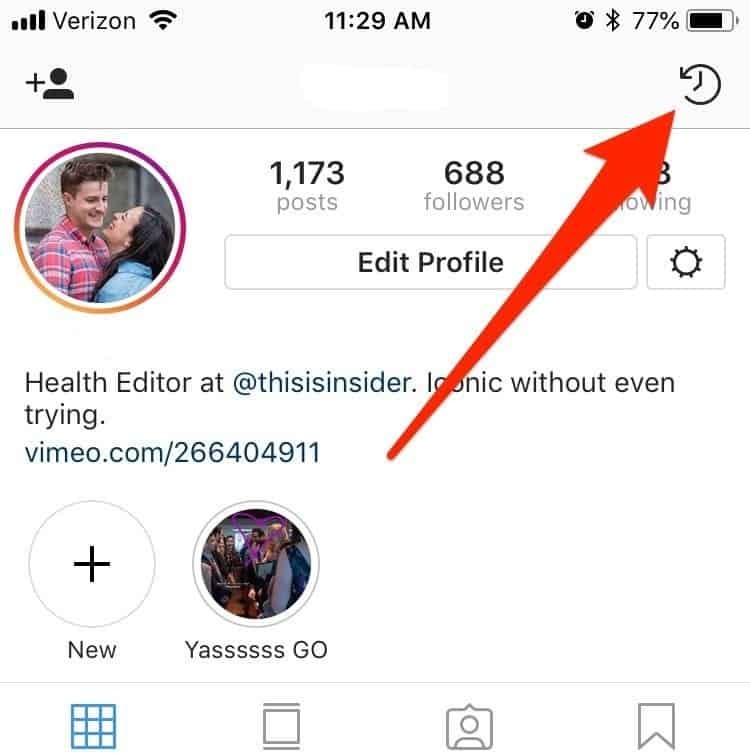 Lest we forget that the required length of a video on Instagram is just one minute and this feature enables you to add more videos in just a single post. Sometimes you record a nice video but the audio is not good enough, or it does not necessarily fit the viewing experience. It is easy to mute or remove it so that it doesn’t turn out to be a distraction later on. iv) On the top of the screen Touch on the volume control icon to MUTE or remove the sound from the video. The same process can be applied to Instagram stories. After you are finished recording your video for your story, just simply press the volume control icon to mute it. Perhaps you have taken perfect shots, enhanced them as usual, but you feel like it is not the time to post it. 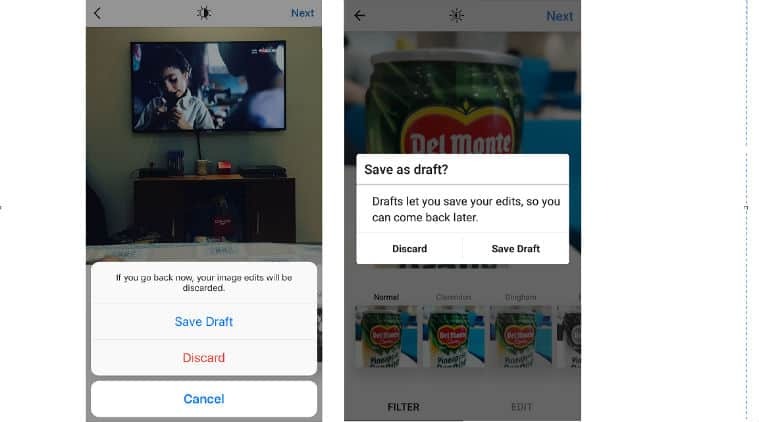 Instagram allows you to save your work for later with the edits and captions intact. How do you save drafts for later though? viii) Share it as usual. Point to Note: If you have so many drafts, you can select the Manage option that appears to manage and find the drafts to upload. The manage option allows you to edit your selected drafts and lets you discard a draft you want to do away with. i) Once your broadcast ends, you can select Save option usually on the upper right corner of your app. ii) Once saved, you can click Done and your video will be saved in your gallery. If you have ever opened your Instagram and your eyes met quite an amazing site of perfectly formatted captions with line breaks? No emojis breaking up the spaces, zero periods(.) or hyphens(-_) but just beautiful white space between your texts on the caption? You may wonder how it’s done but it’s quite easy to do. 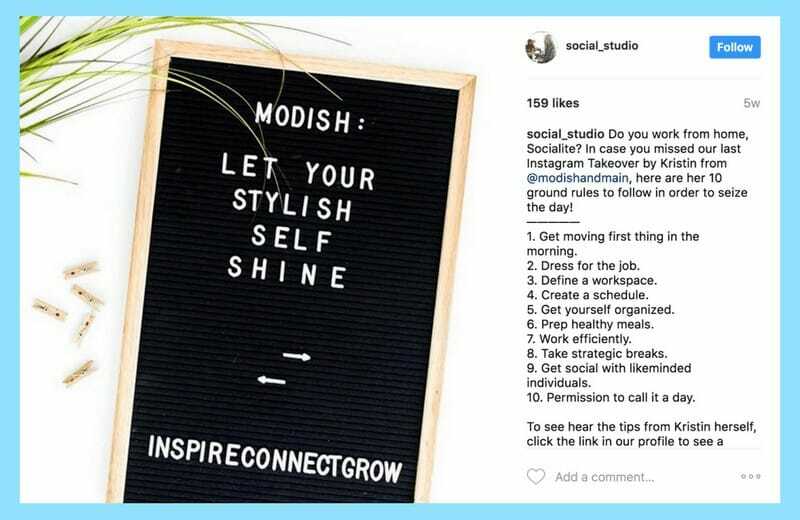 First, you need to understand that well-spaced captions are an eye catcher and this means that the number of people who read your captions and interact with your posts will skyrocket. The Appslifehost website can easily turn your normal captions into beautiful captions. ii) Write your captions in the text box provided. For a line break, just press Enter twice and you will get line breaks between your lines. It is that easy. iii) You can then press Done. v) Share your post as usual. Direct messages can be fun these days. When you receive an image message from your friends, you can do some edits and send it back to them. iv) Toggle off the Activity Status options. 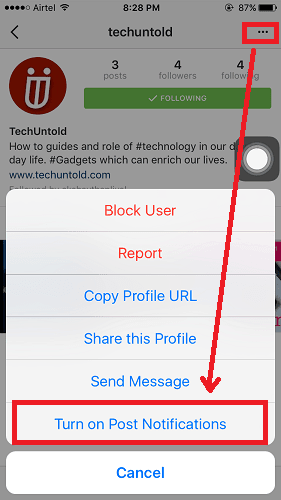 If you are watching a certain live video and you want to share it with your audience followers, Instagram allows you to do that through the Direct Message feature. The feature allows you to send even your own video as well. ii) Once you tap on send option, your recipients will receive your video and watch it through the DM. ii) You should not worry about the hashtags staying at comment section though because one more comment on your post will hide your hashtags safely. iii) Add emojis, symbols or line breaks and characters on every line. For instance, you can use double asterisks and something else like a camera emoji to insert line breaks and move hashtags out of view on the caption respectively. Point to Note: It may sound involving but it easy once you know how to go about with Tailwind, you will be able to create templates that will be easy to use every time you want to create captions with hidden hashtags. Check out the video below. iii) Select the Tags column. iv) From the list that appears, choose a hashtag. v) You will be able to post an image using the hashtag. vi) Above the Recent portions appears a small bar with related searches this will enable you to explore more for further research. i) Use the notes app to create a new note. iii) When you want to make a new post then copying the text from the notes app then posting it into your caption. 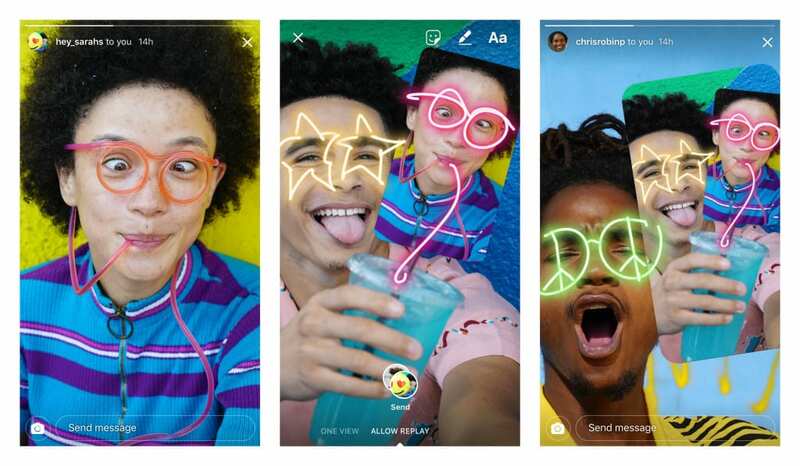 The Instagram Story feature, ever since its launch back in August 2016, has spread like wildfire. As we talk, there are over 300m daily users of the feature and that actually shows how popular it has grown. There is a lot you can do with your Instagram Story feature, where you are using personal or business account. One by one, let’s start laying down the hacks you can implement if you want to fully utilize your Instagram Stories. Just like doing the multiple images and videos on a single post we discussed above, Instagram allows you to post multiple photos and videos on one Story. Perhaps you were at an event and you just want your friends/followers or audience to see every bit of how the activity went down without having to worry about posting so many Stories. It is very possible. Point to Note: You can undo the move suppose you change your mind. The undo option appears in a blue bar below the screen second after hitting the Share button. The undo option also disappears in a few seconds, so make sure you make up your mind to undo your action quite quickly. v) The highlight will then appear on your profile and stays as the single story and your followers may click when they visit your profile. vi) To make changes on the highlight click and then hold it on the profile. If you do not remove it, the highlight will stay on your profile as long as you want. Point to Note: You can fancy having as many Highlights as you want. Furthermore, not until you remove them, Highlights will remain on your profile for all the time. The Hands-free video is amazing. You will be able to record an 11-second video without having to worry about pressing and holding onto the record icon. This feature, as from studies has in one way or another made Instagram more popular compared to Snapchat. ii) At the extreme bottom of the screen that appears, swipe to the left until HANDS-FREE appears. iv) You can either let it record to the end or you can easily touch the recording button to stop recording. 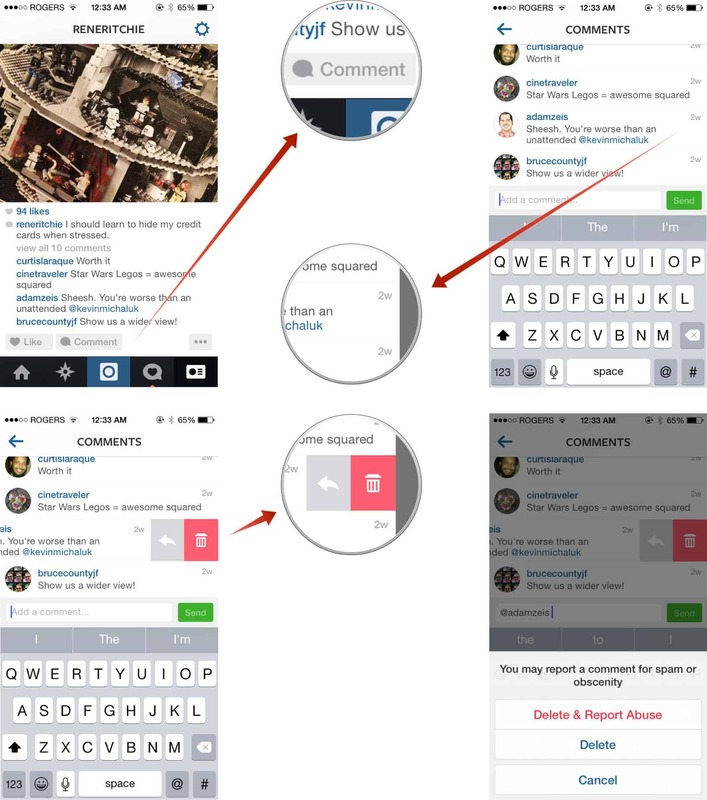 This feature enables you to include multiple texts to your posts on the story. Online marketers are making maximum use of it because it enables them to define their products through stories. iii) Touch on the screen of the snap takes to add text. iv) Alternatively, on the top right there’s an add text icon you can tap and add text to your story. viii) Edit as usual and then post it on your story. 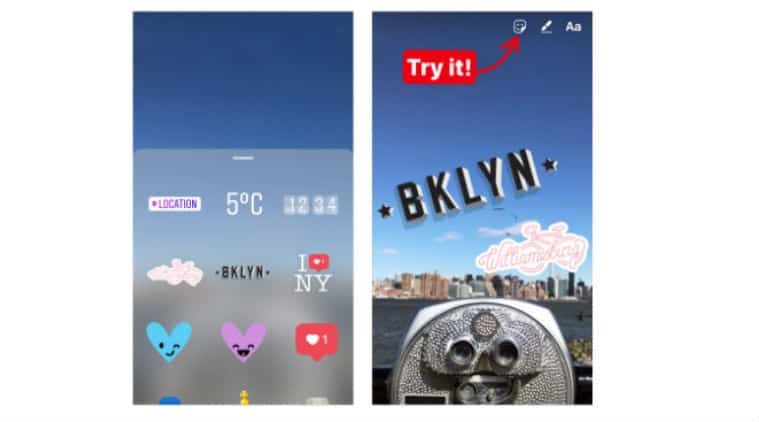 Just like text, Instagram enables you to add as many stickers as you like to your story. Stickers have different functions and it depends on how and why users want to use them. 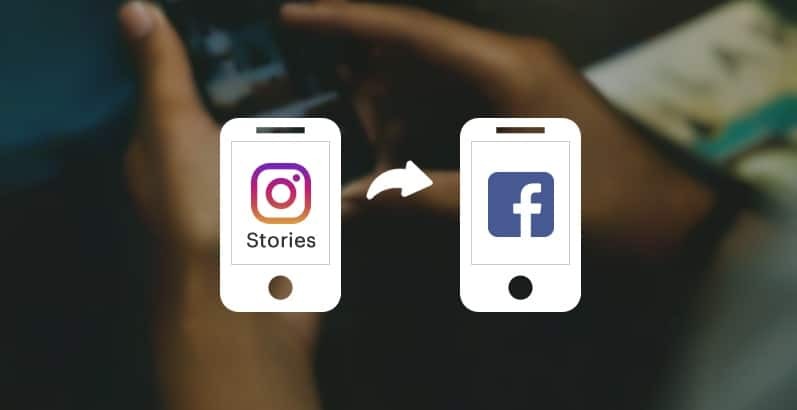 Instagram allows you to share your Stories to your Facebook Stories. This can be a single post or all your Instagram stories. ii) Choose Your Facebook Story option. iv) Your story will be available in the Facebook story. iii) Choose Share Your Story to Facebook option by toggling it on. This is Instagram’s story version of what is known as a regram. It is an amazing feature to give shout outs to relevant influencers or bands or share user-generated content. How do you share people’s post on your Instagram story? iii) Like a sticker with a customized background, the post shows up with a number of options. iv) You can move it, scale, rotate and even touch it to view more editing styles. v) Once you are contented with its appearance, touch YOUR STORY icon at the bottom of the screen and successfully make it your story. vi) Once posted, the post usually show the username of the original poster and suppose your followers tap to view your story, they will see the original post as well as more content like the captions, locations, and hashtags. Point to Note: You will only be able to share posts to your stories from public accounts. 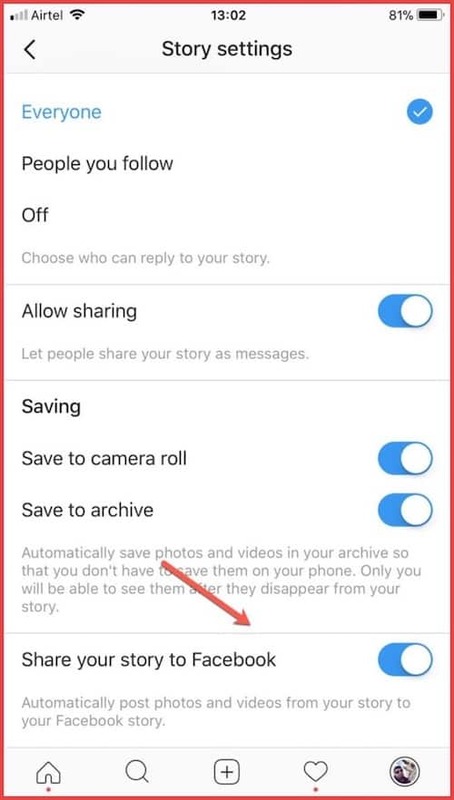 You always have an option to opt out in the settings if you do not want your posts shared on other people’s story. You can show people how stylish your brand is through this feature. You are supposed to have a Spotify application on your device to achieve this though. vii) Your Instagram app will automatically open. 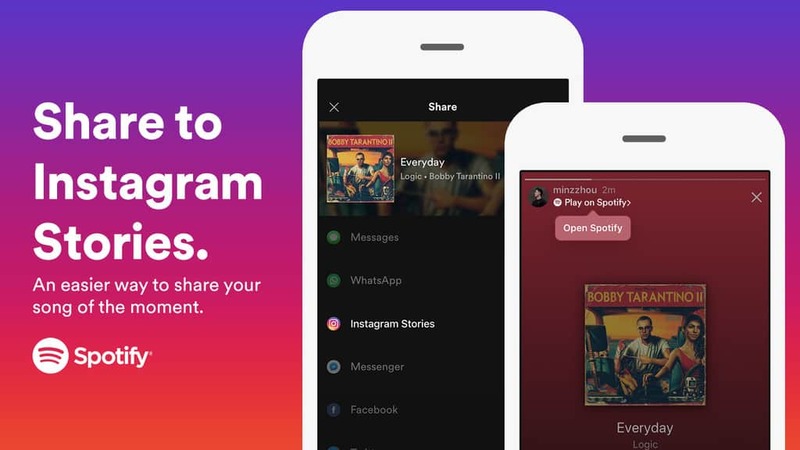 You can then add text, or sticker to the album or song you want to share on your stories. Point To Note: When you share a certain song, your Story will show the name of the album of the song. That also suggests that sharing a song will look more ‘classy’ than sharing an album even when both are allowed. For a number of online brands, showcasing an influencer or giving a shout-out to other businesses in any takeover is one of the best ways to appreciate them. iv) Using your keypad, start keying in the username of the individual users you want to mention. Before the username, type or put the @ symbol. Point to Note: Once you mention people, they will automatically get a notified that they have been tagged. They also get a Direct Message which contains a preview of what you posted on your story. You have viewed the performance of your story and maybe it has done quite well. Putting in mind that Stories only last 24 hours before they disappear, you might want to share your hot Story to your profile. How do you share your Story to your profile? Perhaps you want to keep your Instagram Story a secret and you do not want specific people to see it. vi) Add usernames of the individual accounts that you do not want them to see your Story. 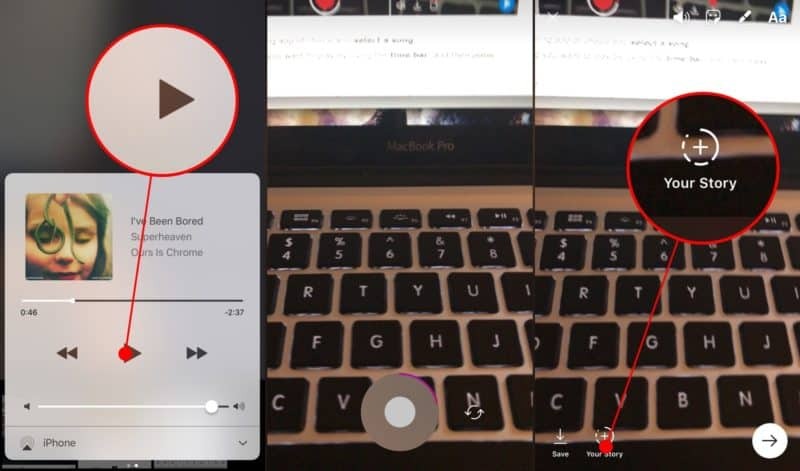 With just but a single finger, you can easily zoom in and out on your videos. iii) Zoom in and or out by sliding up and or down with just one finger. vii) To review your track before posting, you can opt to Play it. ix) Tap Your Story option to add the post to your Instagram story. Other people’s stories will appear on your Instagram feed in a chronological order on the top of your screen. That means if you want to watch all of them, you will have to start watching from the most recent on the left to the old ones on the right. Sometimes, the stories are too many of them that you would not fancy watching all of them. You will have to choose what to watch, skip what you do not want to watch and go back to watch a Story you think is worth a re-watch. How do you achieve all that though? i) Tap on any Story regardless of the arrangement to start watching. ii) To pause on a certain story, just press and hold onto it while watching or viewing. iii) To go back to the previous Story, Swipe left on the current Story you are viewing or watching. iv) To skip the current Story you are viewing or watching, swipe right on your screen. Point to Note: You can do it on both photos and videos. 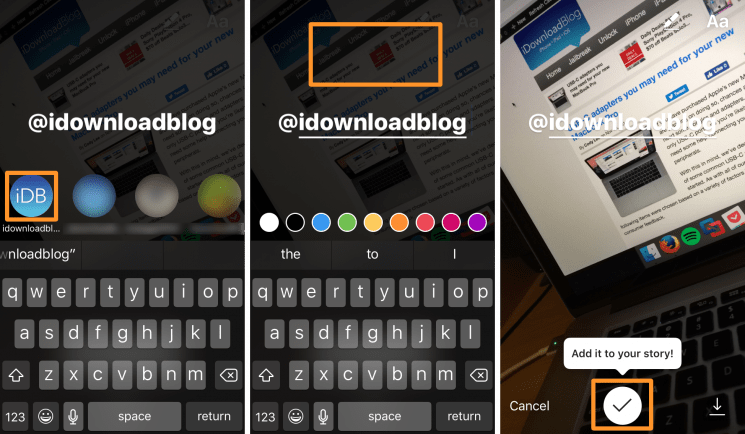 Instagram can allow any size of the thumbnail whether a photo or video. You can post that large size company photo on your story without having to worry about cropping it out. 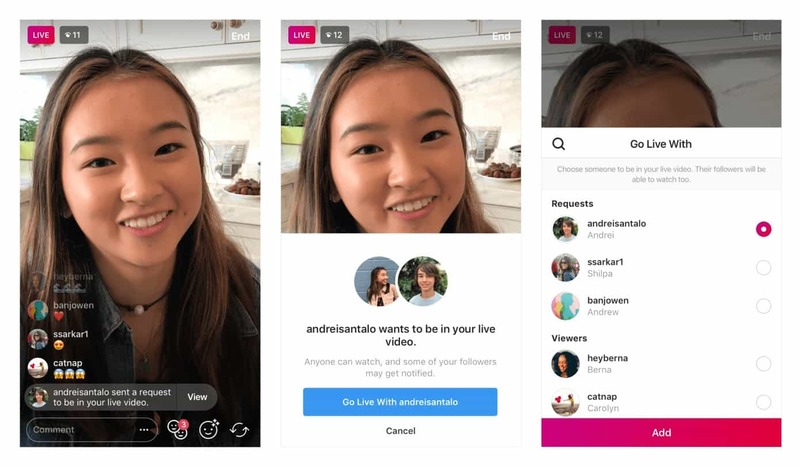 Sharing of the live videos can be done by just clicking the Share button on the screen after finishing the broadcasting, and the video will be shared as the Instagram stories. Point to Note: The video recording option usually stays for 24 hours. While playing, it will show all the likes and the comments of the video from the initial broadcast. With that, the feature allows you to view how many people have watched your video. Maybe you want to publish your Instagram story on another network? It is easy. There are two ways to this. 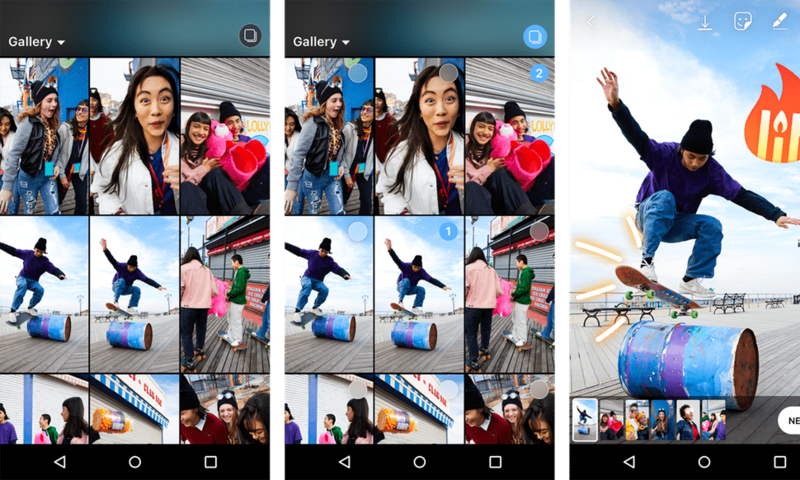 You can save your story to your gallery or camera roll before and after posting your story. iv) Proceed to post your story as usual. Point to Note: Once the option to save to your Gallery is toggled on, every time you post your story, it will be saved in your gallery or camera roll. Your Story’s performance is very important especially if your account is for marketing. At the end of the day, you want to know how many people have viewed your Story. It is very possible with Instagram and we have to accept Instagram did a good job in this sector. This feature makes users curious and at the same time, users are able to track the number of people who viewed your status. 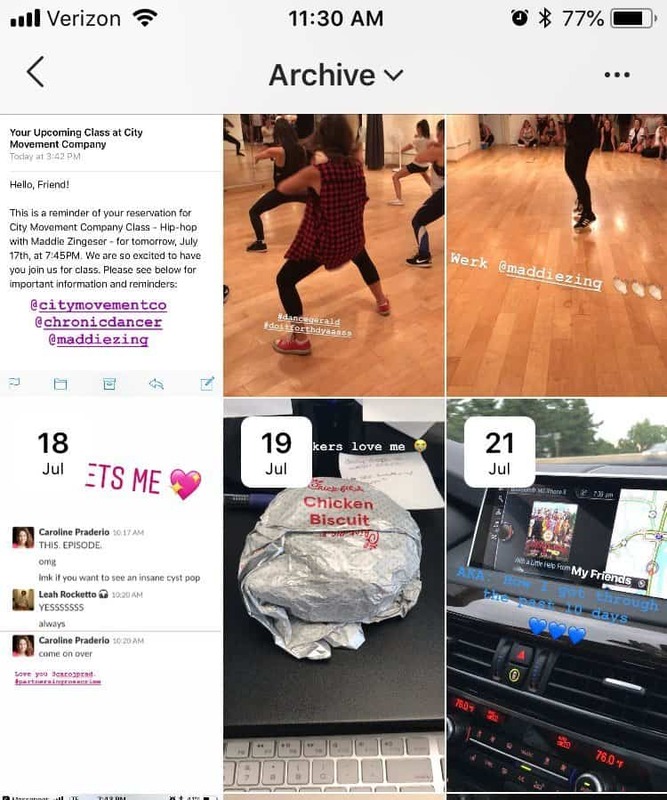 iii) You will be able to see the number of views on your story plus the usernames of accounts that watched or viewed your video or photo in the Story. There you go! 50+ tools, tricks, and features just for you! They are all the ultimate hacks you need for your Instagram. As a user of social media marketer, you are going to take your Instagram activities to a completely new level. If you master them, you are definitely going to use Instagram like a pro.